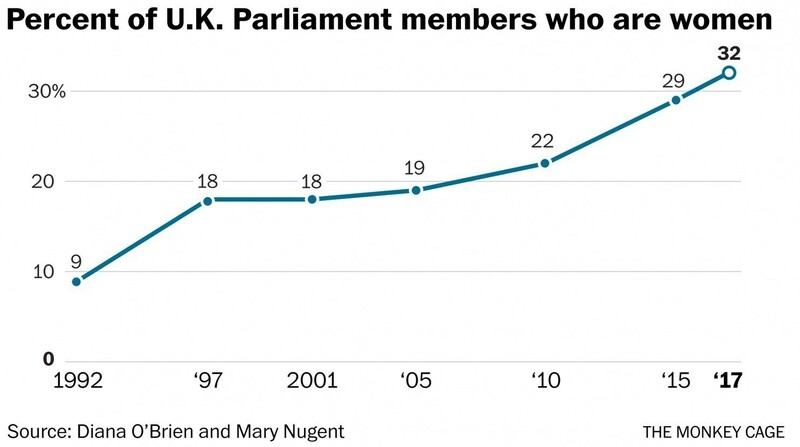 Chart of the week: Percentage of UK Parliament who are women Despite better representation than in the US Congress, the United Kingdom lags behind most European and Latin American democracies. The recent election moved it from 46 to 39 in the global rankings. Source : Diana O’Brien and Mary Nugent via The Washington Post .